Dieses überrraschend hochwertige 16" Ride Cymbal vom Amerikanischen Hersteller Alesis ist eine günstige und trotzdem hochwertige Alternative zu Roland und Yamaha E-Cymbals. Wer also sein bestehendes E-Schlagzeug um ein großes Ride Becken bereichern möchte, sollte dieses neue Strike E-Cymbal in Erwägung ziehen. Es ist aus einem neuen Gummi-Material hergestellt, sieht sehr gut aus und triggert sauber, dynamisch und schwingt authentisch aus. Strike Cymbals sind ein aufregender Schritt nach vorne. Sie fühlen sich außergewöhnlich realistisch an, sind eine perfekte Mischung aus Spielgefühl, Kontrolle und Bounce. Die großen Oberflächen der Becken (12" Hi-Hat, 14" Crash mit Choke und 16" 3-Zonen Ride) kommen in einem stylischen „Hammered Look" daher. The reel is very nicely made and works very robustly. Playing on it is very nice and I recommend it all. I bought it alone because I made a change to Alesis Strike. It really has three zones and plays really well. Good work!!! 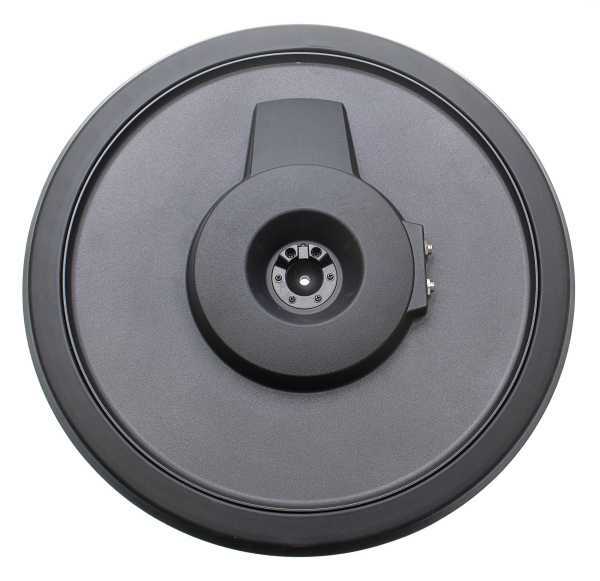 I ordered this to replace the 3 zone ride on my TD25 with a larger cymbal, to make it feel more like my acoustic kit. The sensors are less sensitive than those on the Roland cymbal, but it was easy enough to adjust the sensitivity for it in the module. The bell is easier for me to strike with regular accuracy than the smaller Roland. On a purely aesthetic level I love how the Strike cymbals looks. It plays nicely and has a good rebound. Prior to buying I'd been emailing Drum-Tech for advice and information. The guys were very chill, very knowledgeable, and very helpful. I will, without doubt, be buying more upgrades for my e-kit from them. Cymbal just arrived, plugged it in, set the trigger to CY-15R and it just works. Delivery to the US took a few days longer than preferred but the helpful staff from drum-tec was communicative throughout! I'm still tweaking the trigger settings but I can say thus far that the bell on this 16" cymbal pad triggers MUCH better than the CY-13R I had as my ride prior to this. 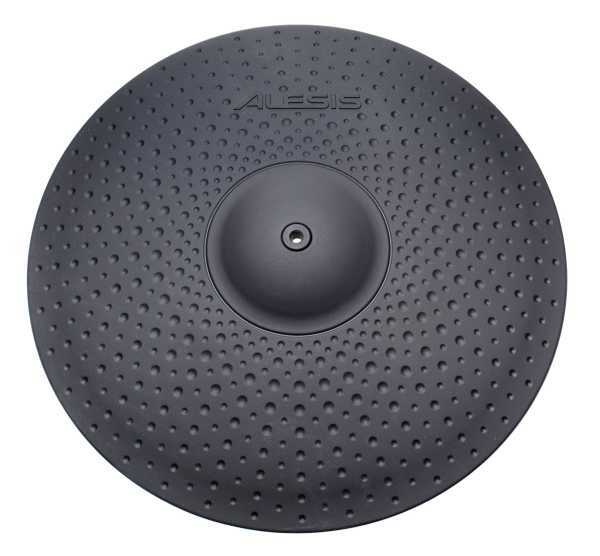 I'll be using this cymbal pad for my ride until I can justify (so the wife doesn't kill me) the 18" ride pad from ATV. Thanks for the communication throughout this purchase drum-tec ... I'll be buying from you guys again in the future. DDT Digital Drum Trigger Truss 16"